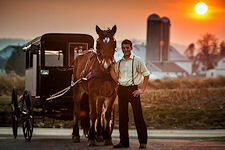 See Lancaster’s Amish Country from Inside an Amish Horse & Buggy! 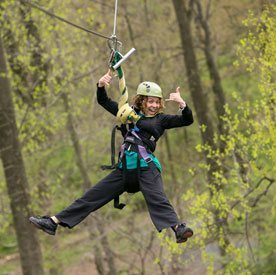 If you are visiting Lancaster’s Amish Country, you’ll want to learn about the Amish culture in order to better understand what makes the Amish and this area so unique. What better and more enjoyable way to learn about the Amish than from a guided tour of some of our back country roads from inside a horse-pulled Amish buggy? 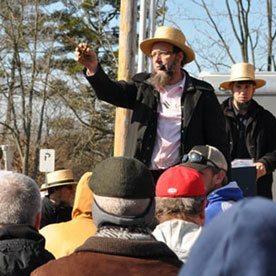 A Mennonite or other knowledgeable guide will explain the Amish way of life, what the Amish believe, and why they choose to live so differently from the rest of us. It will be a fascinating journey as you learn about this different culture. It may even challenge some of your own personal priorities! So, come on! 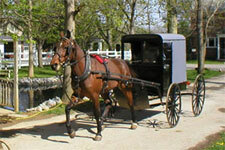 There are a number of Amish Buggy Rides from which to choose. Your tour is waiting. Hop aboard!